It occurred to me in all the times I've been to the convention center Dallas Comic Con is usually held in Irving, Texas, I've never actually taken a picture of the convention center proper. 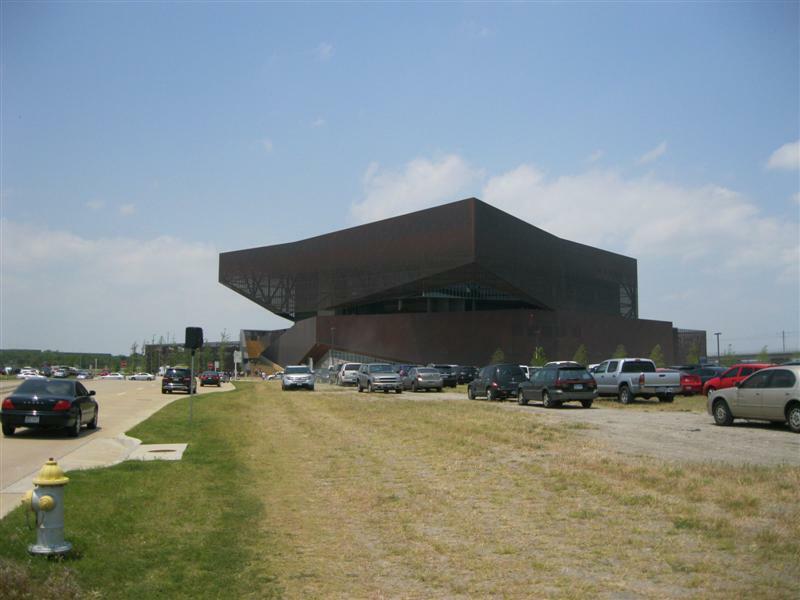 It's not what you'd call an attractive building, with its' severe edges, rust coloring and a shape I've heard likened to "a collapsed Borg ship". Still, its' home of a sort for thousands of geeks three weekends a year, so I guess that description is fitting. I took this picture from the field I had to park in on Sunday, somewhat closer to the building than I'd been on Friday, some two hours after the convention opened. I have no idea what style you'd call this. Any architecture geeks in the house? Today I was dressed down, playing the role I play the best - a smartass geek with a blog. The only costume I had clean was my Fourth Doctor outfit. Given the long walks to the convention center I was expecting - to say nothing of the day's 90+ degrees Fahrenheit temperature - I decided today was not the day to don the curly wig, the London Fog coat or the 17 foot long scarf. I'd seen far too many miserable folks in Jayne hats over the past two days to think anything wool a wise fashion choice. And so it was with just me in jeans and a Doctor Who shirt with my trademark fedora and a camera as I entered into the final day of Dallas Comic Con 2013. 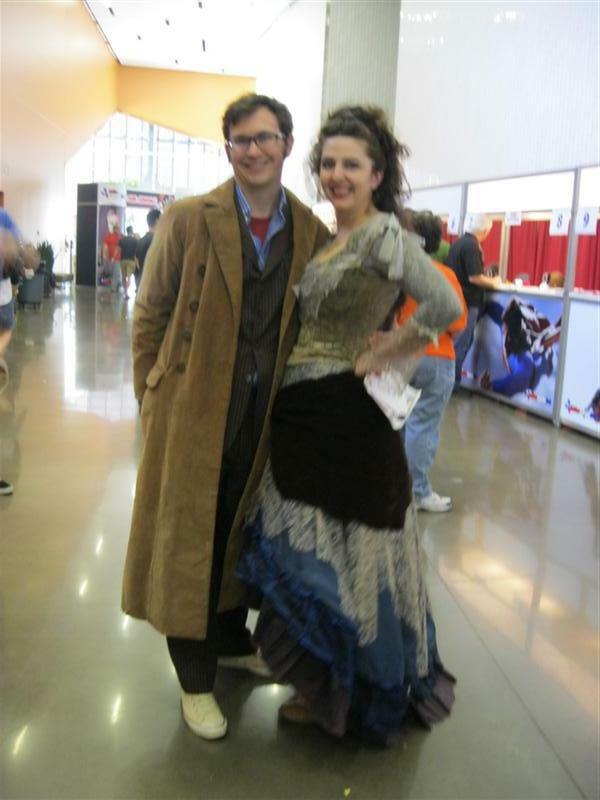 Fittingly, the first costumed couple I found was The Tenth Doctor and The Doctor's Wife. 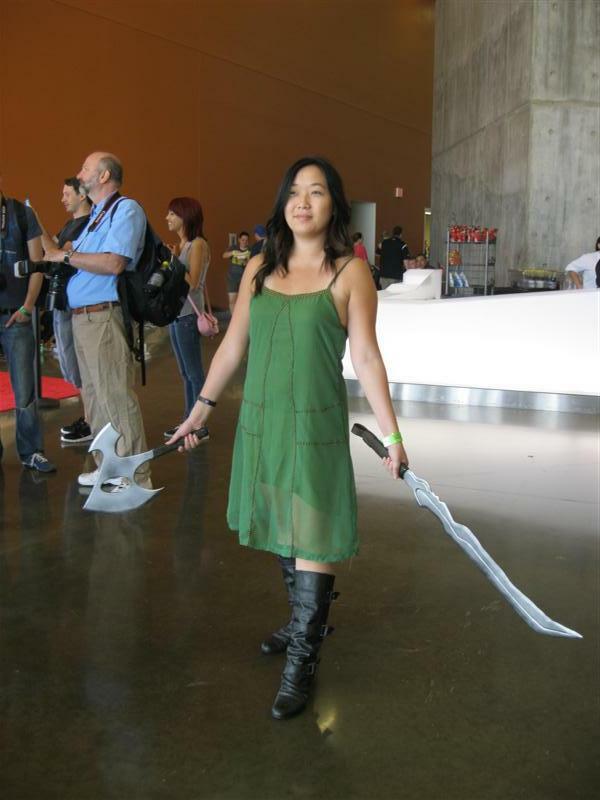 River Tam from Firefly & Serenity. 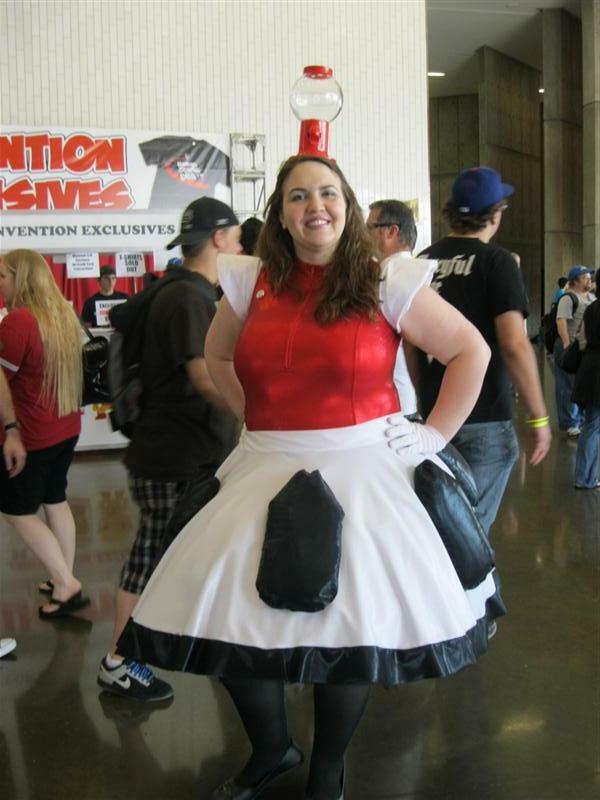 Tom Servo from Mystery Science Theater 3000. 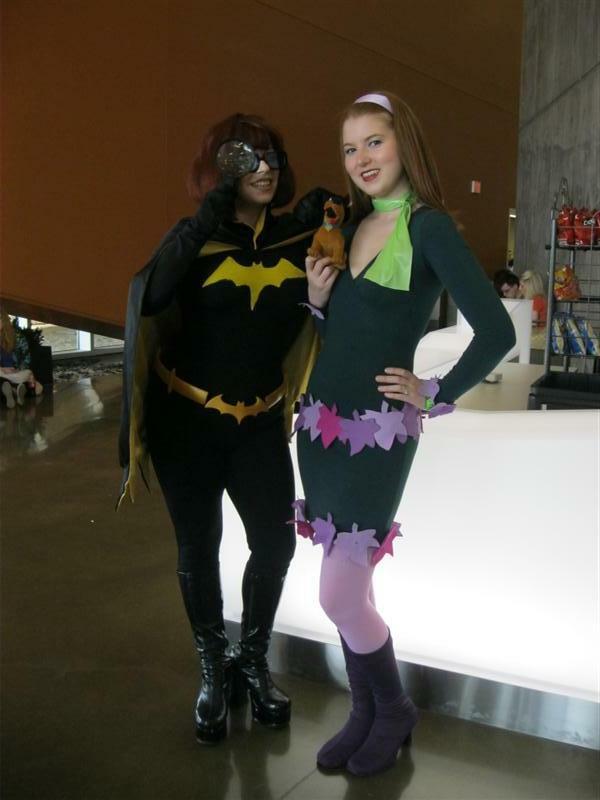 Taffeta Darling, mixing things up again, as Velma from Scooby Doo as Batgirl. Accompanying her is a mash-up of Daphne and Poison Ivy. Note the Scooby Doo doll altered to be Ace The Bat Hound. 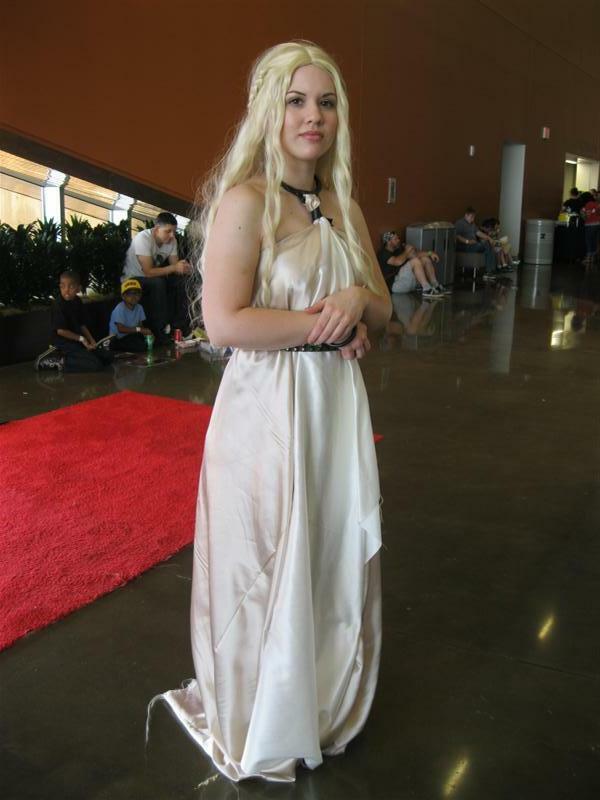 Kimmie Britt of IHO Geek as Danyers Targayen from A Game Of Thrones. 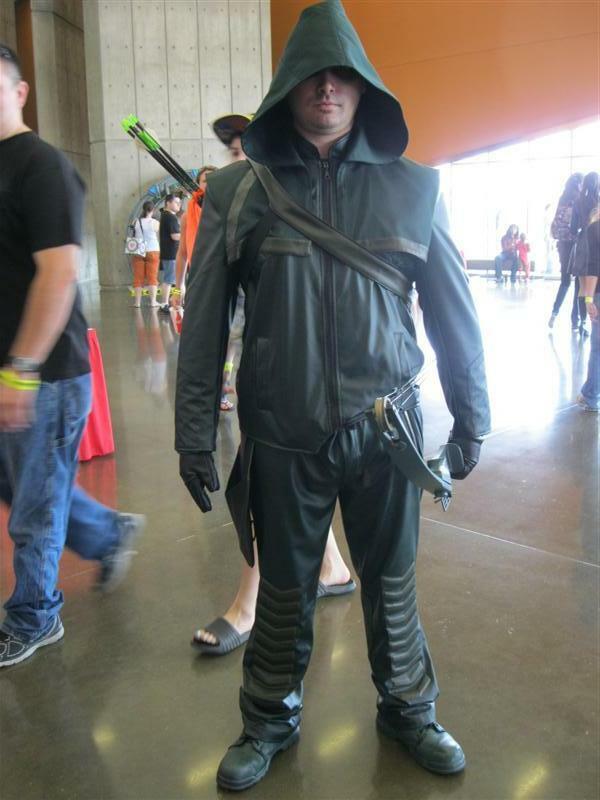 This was the first Green Arrow cosplayer I've seen based on Arrow. 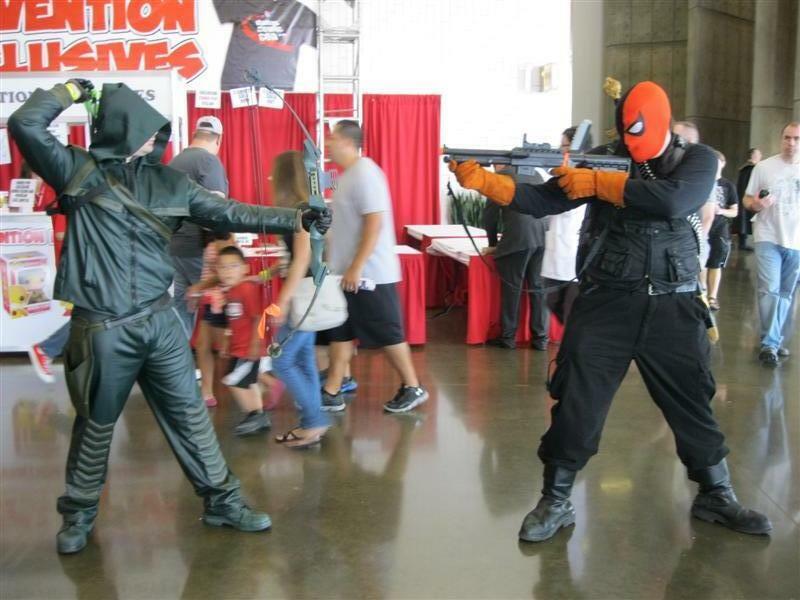 It's a great costume but I don't know how he survived in that leather get-up all day! 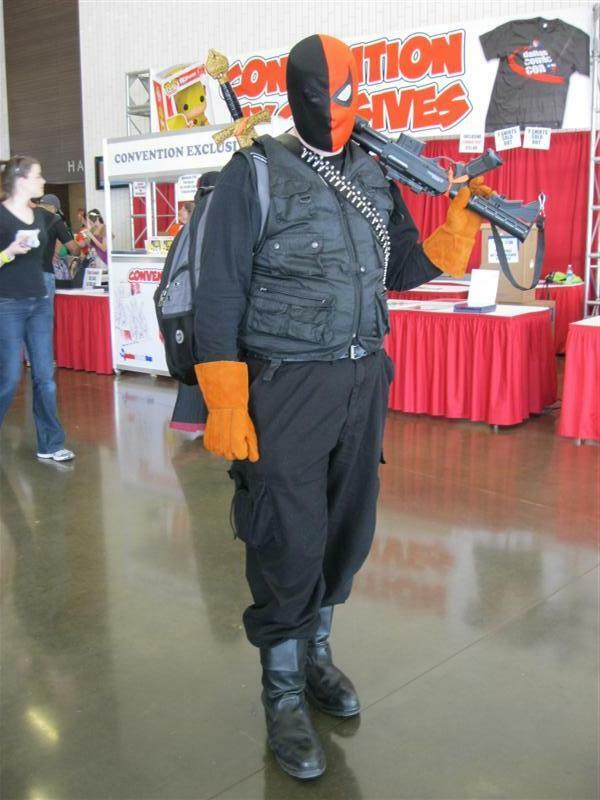 My friend Jeremy as Deathstroke, all by himself. 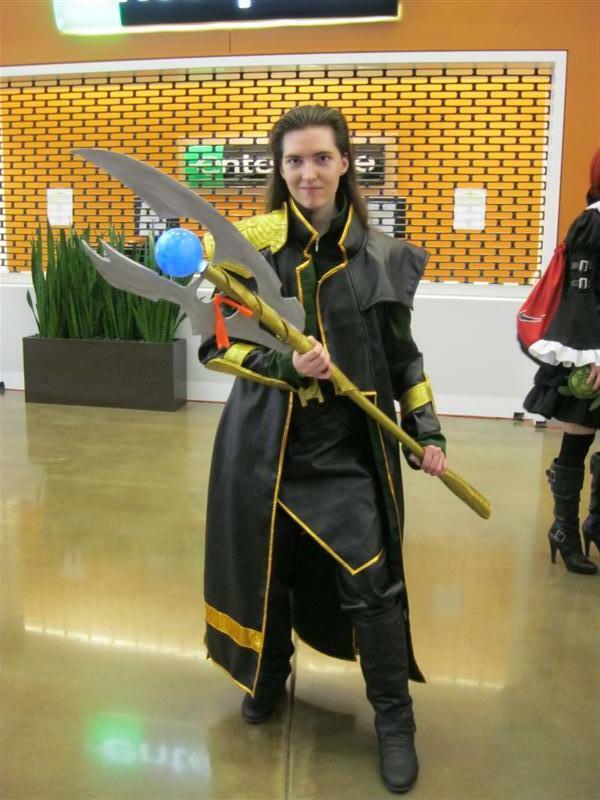 Sadly, there were no groups of Titans for him to harass today.